Not too long ago, we had reported about how Race 3 may be facing resistance in Pakistan since it is an Eid release. The Salman Khan starrer, despite having a massive fan following, was later expected to release two weeks after it will be released worldwide. Considering it was the same weekend when Ranbir Kapoor starrer Sanju is slated for a worldwide release, there would have been a clash. But according to the latest announcement, Race 3 would release a week prior than defined. It seems that the Pakistani government decided to alter the ban that was imposed on Indian films releasing during Eid. According to the previous order, Indian films were not allowed to be screened in Pakistani theatres, two days before Eid and two weeks post the holidays. This action was taken in view of promoting in-house Pakistani films which included the Mahira Khan starrer 7 Din Mohabbat and Javed Sheikh’s Wajood. Both of which were expected to the silver screen during the festive occasion of Eid. On the other hand, some distributors had expressed discontent over this decision as the festive season is the peak period for films. Also, keeping in mind the massive fan following of Salman Khan, these distributors had requested to reconsider the decision of the ban since they would be incurring heavy losses due to the same. After considering the concerns of both the parties, Chairman of Central Board of Film Censors, Danyal Gillani have revealed to reports that the government has decided to retain the ban only for a week. According to this announcement, even though no Indian films shall be allowed to release two days before Eid, the Indian filmmakers have been granted permission to release their films a week after the holidays. 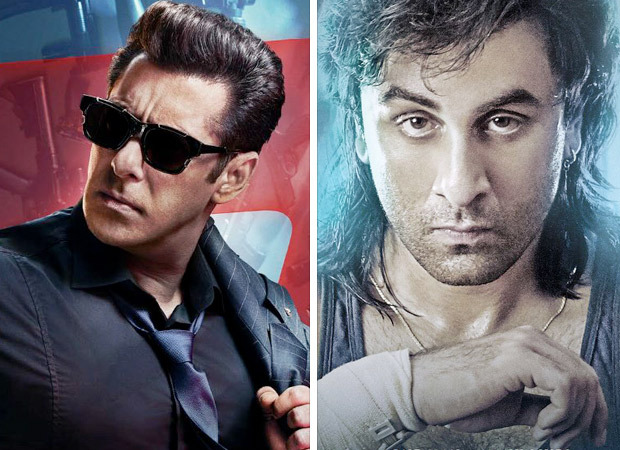 Thus a major clash between Race 3 and Sanju has been averted in Pakistan theatres. Considering that Race 3 is releasing worldwide on June 15 which is the Eid weekend, the release of the film in Pakistan shall now be postponed to June 22. On the other hand, the much anticipated Sanju will be releasing in other countries and Pakistan on its original date, June 29. Athiya Shetty to play a Footballer in her next and here are the details!